Fredrik provides audit and accounting, tax and general business consulting services to clients in a variety of industries. Prior experience includes audit, review and compilation of financial statements as well as preparation of federal and state tax returns for businesses, non-profit organizations, and individuals. Prior to joining the firm, Fredrik worked for six years at a local law firm where he practiced both transactional and litigation law. He graduated from the University of Kentucky, where he received a Bachelor of Science degree in Accounting with a minor in Economics. Fredrik earned his Juris Doctor from Loyola Law School in Los Angeles. Fredrik is a member of the California Society of CPA’s, the American Institute of Certified Public Accountants, and the State Bar of California. Fredrik grew up in Sweden and is fluent in Swedish. 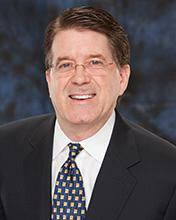 Charles joined Clumeck Stern in 2014 with over 20 years of experience in public accounting. He provides tax and consulting services to clients in a variety of industries. Charles’ experiences include public accounting in “Big Four” accounting firms, work with non-profit organizations, as well as providing tax, accounting and consulting services to high net worth individuals. He has also served as CFO for real estate, oil and gas property management companies. 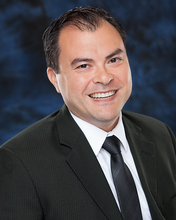 Charles earned his Bachelor of Business Administration in Accounting and minor in Economics from the Southwestern University in Georgetown, Texas Charles is a member of the California Society of CPA’s, Texas Society of CPA’s, and the American institute of Certified Public Accountants. Charles Texas native and prides himself on being fluent in all things Texan. 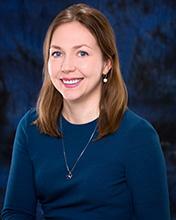 Yuliya has over 12 years of experience in the accounting profession. She specializes in tax preparation and consulting for individuals, corporations, partnerships, LLCs and Trusts, as well as working with the Internal Revenue Service on examination issues. Yuliya’s expertise also includes international tax, including all FBAR (Form 114), OVDP, Streamlined Procedures and FATCA matters. Yuliya received her Bachelor of Arts Degree in Linguistics from California State University, Northridge. She completed all accounting classes at the University of Los Angeles and received her Master’s of Science Degree in Tax from Golden Gate University. Yuliya is a member of the California Society of Certified Public Accountants and in her spare time enjoys camping, hiking and skiing. Dinesh earned his Bachelor of Science degree in Accounting from California State University Northridge, where he was actively involved in the Accounting Honors Society, Beta Alpha Psi. Prior to joining Clumeck Stern, Dinesh worked at accounting firms that specialized in retail, restaurant, and non-profit accounting for over three (3) years. As a member of the Clumeck Stern professional accounting staff, Dinesh is responsible for preparing a variety of tax returns for individuals, partnerships and corporations. Dinesh grew up in India and is fluent in Hindi and Telugu. He is currently pursuing his masters in Taxation at Cal State Northridge. 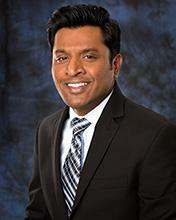 Dinesh is an avid fan of basketball and enjoys watching the Los Angeles Lakers in his spare time. 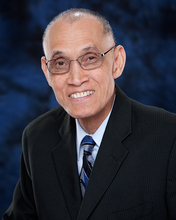 George O. Gelera emigrated to Long Beach, California from the Philippines in May 1974. George earned a degree of Bachelor of Science in Commerce with major in accounting from Manuel L. Quezon in Manila, which was made possible through the financial support of his brother, a U.S. Coast Guard sailor. It took him a while to get accustomed to the new environment. In July of that year, his brother retired from the Coast Guard and they moved to San Diego. Naïve and without local experience, George started the job hunt and had to relocate again to Los Angeles. His work experience began in a mortgage company performing investor accounting and then as a staff accountant in pubic accounting firms. In 1988 he joined our firm and has been one of the accounting staff since. Life is simple for him; he enjoys listening to music, watching sports, reading, and family outings. Coming from a tropical country he likes the desert and enjoys nature. Linda Smith joined Clumeck Stern Schenkelberg & Getzoff in 2002. She has worked in public accounting for thirty years. She attended Cal State San Bernardino, and has taken numerous accounting courses. She is also a Certified QuickBooks ProAdvisor. 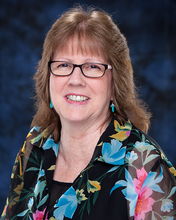 Linda is a member of our accounting staff. She prepares various types of returns for individuals and businesses, assists with review and audit financial statements, and handles the e-mailing of tax returns to clients and the e-filing of tax returns with the various government agencies. Linda enjoys spending time with her parrots, visiting with family and friends, and reading. Ninveh joined the Clumeck Stern Schenkelberg & Getzoff team in 2013 as the tax administrator and administrative assistant. She has worked in office administration for over fifteen years. Ninveh attended Cal State University, Northridge and is currently taking accounting courses to enhance her professional skills. 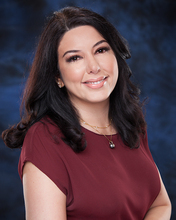 A Los Angeles native, Ninveh is fluent in Assyrian and Farsi. Ninveh surrounds herself with friends, family, her loving husband and dogs (Lily, Lola and Penelope).